HomeProductGroceryCoffeeFolgers Decaf Classic FAC 11.3 oz. Get decaf coffee without compromising the great taste you love. Folgers Classic Decaf Coffee has the same aromatic flavor as Folgers Classic Roast Coffee, but it's decaffeinated. In a hurry? With Folgers Instant Coffee crystals, you can have the flavorful coffee you love whenever and wherever you want. Make it good. Make it quick.Discover everything you need to know to make the perfect cup of Folgers Coffee.Founded in San Francisco, Folgers is an iconic American brand with a history as rich as its coffee. For more than 150 years, Folgers has been the "best part of wakin' up" with its Mountain Grown beans and fresh, eye-opening aroma. 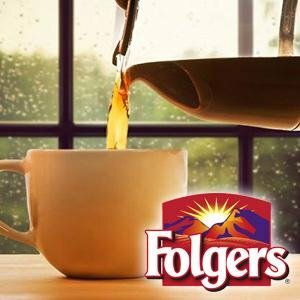 Folgers coffee provides you with a consistently rich, pure taste, cup after cup. Item Description: Folgers Decaf Classic FAC 11.3 oz. Vendor Name: DOT FOODS NC.